Fancy a piece of living history in your own garden, or how about planting a tree that could live for a couple of millennium. 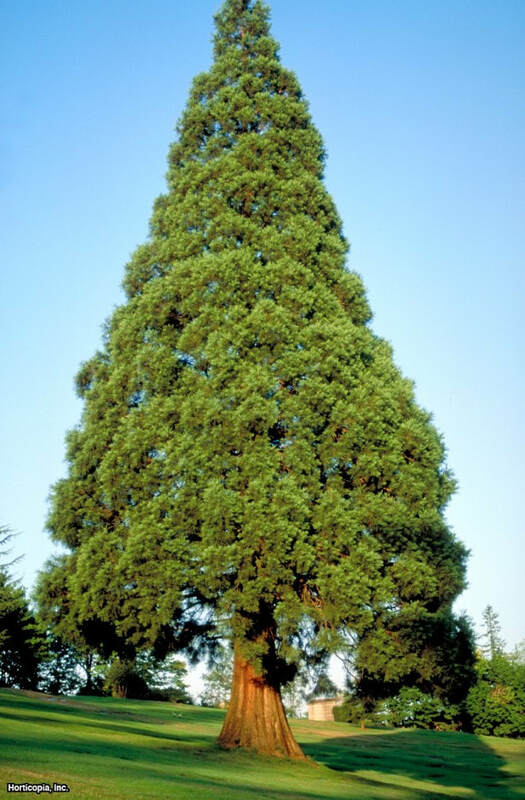 The Wellingtonia is the largest living organism on planet Earth and in its native Californian hill sides numerous examples are known to be in excess of 2000 years old. Check out National Geographic for some amazing photos they took whilst studying the Giant Redwoods of the Sierra Nevada. You may be glad to know S.giganteum is unlikely to reach its full potential when planted as a single specimen here in the UK, none the less I have seen many in excess of 50m high so definitely not advisable for a small back garden. S.giganteum makes an attractive specimen regardless of its impressive size. The trademark red-brown furrowed bark is soft and spongy to the touch and as it ages the giant downward sweeping branches are a sight to behold. If you do have the room these Giant Redwoods they will grow well and quickly on all soils bar the most swallow and chalky ground.